Cheshire trio Doves are back in 2019 with a series of live dates, Getintothis’ Peter Guy on a band with so much more in their arsenal than traditional rock and roll. There’s been numerous times we’ve made the case on these pages for 1990s guitar music. Whether it was Oasis or Blur. Radiohead or Pulp. The Manics or Suede. Supergrass or Elastica. We’d argue there was barely a better time to be a teenager. The revisionists and their weary cynicism aimed at British pop music during the ’90s misses the entire point – it was a galvanising, triumphant and exhilarating time for music which swept up and changed the lives of millions. However, when it became known as ‘Britpop‘ the cracks began to appear. The deluge of bands that traded weakly on those that led the charge was undeniable. But the finger of blame shouldn’t have been pointed at the artists – but the labels and media which both desperately, and lazily, lapped up the landfill at their disposal. The after effects are still being felt today. Rock and roll in critical quarters is treated at best with a suspicious raised-eyebrow. Or worst, a contemptuous scowl at this supposed dinosaur act of artistry. It’s not hard to see why. Chief culprits Coldplay spawned a legion of bed-wetters including the ultimate big-selling soaks Snow Patrol, Mumford and Keane. While co-conspirators in ruining British rock and roll The Libertines managed to cook up a cauldron of horrendous imitators including The Paddingtons, The Others, Razorlight, The Holloways, The Kooks and many more we’re refusing to Google. Yet in among this mountain of aural gack, the early part of the 2000s, the UK was cooking up some consistently fine guitar music. The Coral riffed on Beefheart, sea shanties and glorious Merseybeat pop, The Cooper Temple Clause, while more infamous for their haircuts, delivered a colossal cauldron of heavy riffs and guttural post-rock, Elbow finally released their Talk Talk inspired melancholic wonder Asleep In The Back complete with doomy saxophones and soulful balladry, The Music combined the psychedelia of The Stone Roses and gift-wrapped it in thundering cyclical Led Zep mountainous noise while the much-underrated Oceansize released the remarkably ambitious spacerock monolith Effloresce. Hell,even Kasabian melded their original inspiration of Oasis vitriol and Tangerine Dream synth-imbued kraut to mesmeric effect. Nowadays they couldn’t be further from their original blueprint. Yet this period of UK guitar music is somewhat abandoned – set adrift almost in shame by rock critics who dabbled too much in a supernova of cocaine and alcohol abuse during those heady Blairite years of excess and shameless indulgence. Guitar music – the North and South divide in music? 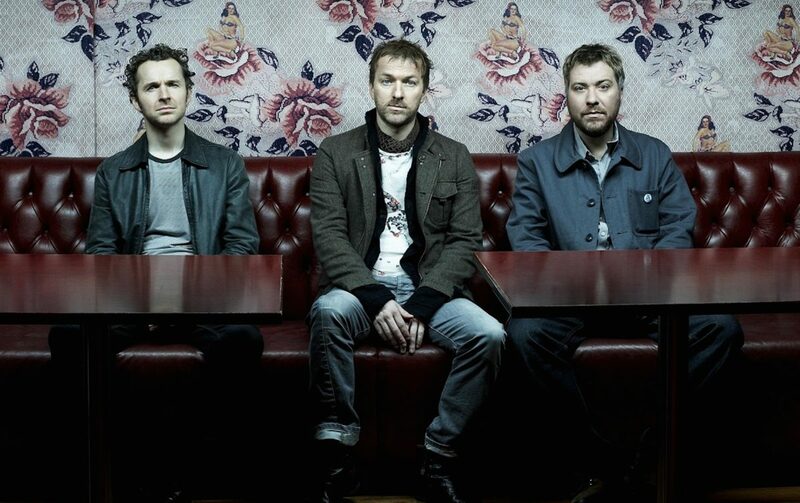 Few bands are more overlooked though than Cheshire – not Mancunian – trio, Doves. Such was their consistency, finely weaved melodies and subtlety orchestrated production that it was of little wonder when they announced their live return in late 2018 that social media was ablaze with virtual raised fists punching the sky. Much like the aforementioned Elbow, Doves emerged from tragedy after tragedy before releasing their sublime debut album which regrettably is somewhat a ‘forgotten’ classic in their field primarily because of the trappings of what went before them; namely Oasis and what followed, Coldplay. For here is a band of white fellas who look more likely to be found down your local nursing a pint of mild or playing an extra in a Shane Meadows film than fronting a rock and roll band. Yet, what distinguishes them from Elbow – is they never sold out to do the choir thing with soulless banks of violins. Quite the opposite, Doves experimented and enriched their sound with layer upon layer of textured dynamic noise. Forever the underdogs, they remain one of the finest bands of their generation – lost souls, indeed. Here’s ten of their very best. UPDATE: The band have just revealed they will play a special one off date at Warrington’s Parr Hall on Thursday March 28. Tickets go on sale Tuesday March 19 at 10am. Best act fast those tickets will fly. Doves are excited to announce they will play a warm up show at Warrington's Parr Hall on March 28th. Make no mistake, not all Doves tracks were complex multi-layered epics – they know how to make thumping straightforward rockers – and the appropriately named Pounding was perhaps the best of ’em. A clattering Andy Williams drum beat provides the relentless drive before brother Jez follows suit with a riff plucked from the Joshua Tree handbook. But it’s that signature wall of feedback and double strike of the kit which rocket-launches this into orbit right from the off which induces goosebumps. Other fist-to-the-belly big hitters include Catch The Sun and it’s instrumental rhythmical b-side Crunch – but neither quite land the knock out blow of Pounding. Like a Mexican shuffle which slowly unravels, Kingdom Of Rust is one of few stand out moments from the band’s final album. It took Doves four years to complete, and while reviews which favourable, it has perhaps aged less well than their other three offerings. That said, there are moments of magic. Winter Hill is a beatific skyscraper but it’s the epic grandiosity of Kingdom Of Rust with it’s twinning of chiming guitars and reverb soaked piano (played by long-time live collaborator and unofficial fourth member Martin Rebelski – who himself released a superb debut Thanks for Your Thoughts in 2003) and air of majesty which makes this their last truly great single. Such was the breadth of their scope, it’s little surprise that their second album The Last Broadcast was Mercury nominated and few tracks typify the widescreen vision than penultimate track The Sulphur Man. Ushered in with cacophony of cello, violin, saxophones, all manner of brass (including a flugal horn!) and what sounds like the Phantom of the Opera on organ, the track subsides into a gentle, glockenspiel assisted lullaby imbued by Jimi Goodwin‘s longing vocal. Evoking the spirit of 70s prog and yet melding a Northern folky melancholia it’s moments like this which show the band at the very peak of their powers. The nearest thing the band got to straight up pop, Black And White Town was the band’s first single from third album Some Cities and their second top ten hit landing at #6 in the charts. Catchy as, the driving piano riff alongside Andy Williams‘ relentless percussive stroll and Jimi‘s hardly masked vitriolic vocal culminate in something close to big league terrace anthem. Gotta love that solo too. Two years on from their masterclass of a debut, the band’s follow up saw The Last Broadcast them expand from atmospheric slow burners to fully realised stadia sized epics – and Words epitomised their growing appeal. Born out of Jez Williams‘ searing guitar the track positively soars as all three take to the microphone aligning vocals to chiming glocks and a backbone of fuzzy rhythms. The track was later reworked entitled Live For City and is played prior to all home games at Manchester City – all three members are Sky Blues fans. Another of those tracks from Lost Souls to get truly lost in. ‘Drown in me, crushing dreams, I cannot sleep,‘ sings Jimi amid a wall of hazy riffs and driving piano. There are multiple moments on their debut the band are verging on shoegaze storms of noise – it’s this kind of dense atmospherics which separates them from their peers who they’d lazily get lumped in with. Once again harmonica and sweeping orchestral ambience takes the song away from any traditional verse-verse-chorus structure and into a thick fog of psychedelia. There’s a mystique and painful backstory which conjures up imagery and forces the listener to get lost amid the waves of music. The closer of their Mercury nominated The Last Broadcast is embued with both the triumphalism that courses through the album but also that mournful sadness which pervades much of Doves‘ work. The aforementioned harmonies in their music is much under appreciated and on Caught By The River they once again showcase how special their music is when all three work as one. It’s sometimes remarked how Jimi is almost an anti-frontman, it’s clear he hasn’t the finest vocal range, but when working in tandem with the Williams brothers there’s a fragility and towering melodicism which works to magnificent effect – this is one of their finest offerings. This was the first track we heard from Doves and it’s murky, ever so slightly unsettling introduction proved the invite to a life long musical love affair. Following the death of their manager, the legendary Rob Gretton, the burning down of their studio which resulted in the loss of equipment and demos, and various relationship breakups, it was a testament to the determination of the band that Lost Souls ever saw the light of day, and Rise seems carries that blasting on through to otherside mentality – a track which embodies their spirit. There’s barely any chorus or verses – instead it’s a cyclical riff which harks back to their days as dance collective Sub Sub and builds amid a mid-temp bluster culminating in a fuzzed out harmonica solo, drums thrust to the fore and washed out waves of guitar. It sounds heroic – a band overcoming many a hurdle and crossing the line, arms aloft that they even got this far. The song that sent them into the stratosphere. It’s a sign of Doves‘ ambition and songwriting ability that they could come back with a near 7-minute single which crash-landed at #3 in the charts before being deleted on the same day. With relentless samba-style clattering percussion, There Goes The Fear takes the band’s dance roots and transforms them into a motorik quasi-krautrock belter. Without doubt the band’s finest hour. The Cedar Room is not just one of the greatest tracks of the 2000s – it’s one of the greatest tracks penned by a UK guitar band. Barely a week goes by without returning to this song, such is it’s timeless grandiose beauty. The chiming swell of guitars reaches deep into your chest as the big thunderclap drums usher in a towering build which culminates in the band’s biggest and most emotive chorus. ‘And I tried to sleep alone, but I couldn’t do it, you could be sitting next to me, and I wouldn’t know it, if I told you you were wrong, I don’t remember saying…‘ as Jimi sings those words relating to his recent breakup, it’s impossible not to feel the hurt pouring out of him – and yet, as with all of Doves‘ finest moments this sadness is married to a massive euphoria and steely resolve of overcoming the pain. It is music for the soul, music which harnesses your spirit and makes you feel alive. A masterpiece of songwriting. Have to say you’re wrong/disagree about them being a “Cheshire” band. The trio were all born in Manchester and had family that lived there/were from there. They merely attended High School in Cheshire (presumably after their parents relocated there), which is they how they first met. However, they were reaquainted with each other many years later at the Hacienda nightclub (in Manchester) which is where they formed the band Sub Sub and they later moved to Manchester (notably Northenden where they MAY have lived as Sub Sub i don’t know, but definitely when they were doves). So, when doves came on the scene they were a seasoned Manchester band, a city that they strongly identified with and were shaped by. They certainly weren’t influenced by Wilmslow, yet another Black And White Town. Lazy writing dude. Coldplay’s A rush of blood to the head was a great album.